Shown in darker antique brass, this lovely gaslight reproduction offers a beautiful Victorian touch. 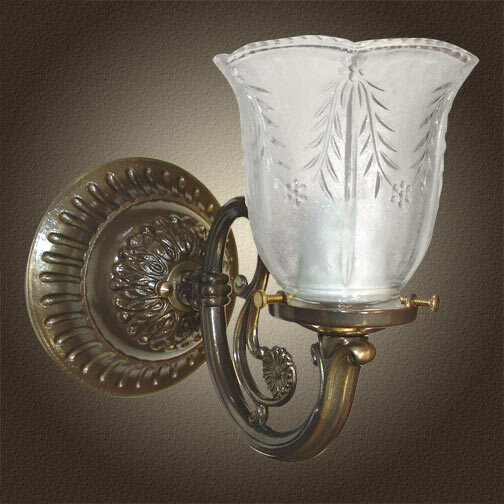 Use this sconce for accent lighting or grouped around a dining table. The short projection also makes it perfect for hallway lighting and beside vanity mirrors. Mountable up or down. Width 5 In. / Projection 9 In. / Depth 7 In.